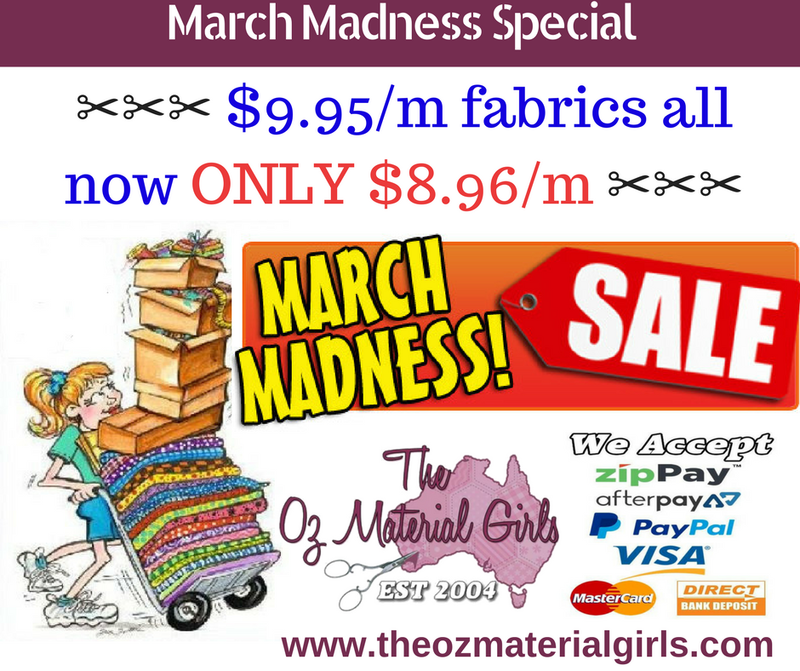 March Madness fabric sale at The Oz Material Girls - Up to 75 % off - Shop Now! Enjoy National Craft Month with March Madness Sales PLUS some exciting new ranges! The best way to celebrate National Craft Month is by grabbing yourself a bargain from our March Madness S A L E! We have over 100 fabrics under $10 per metre! These have been further reduced as part of our March Madness sale. Don't wait too long to choose which of these need to make their way into your stash! Remember, we have limited stock so be quick ! SO MANY FABRIC BARGAINS - up to 75% off ! 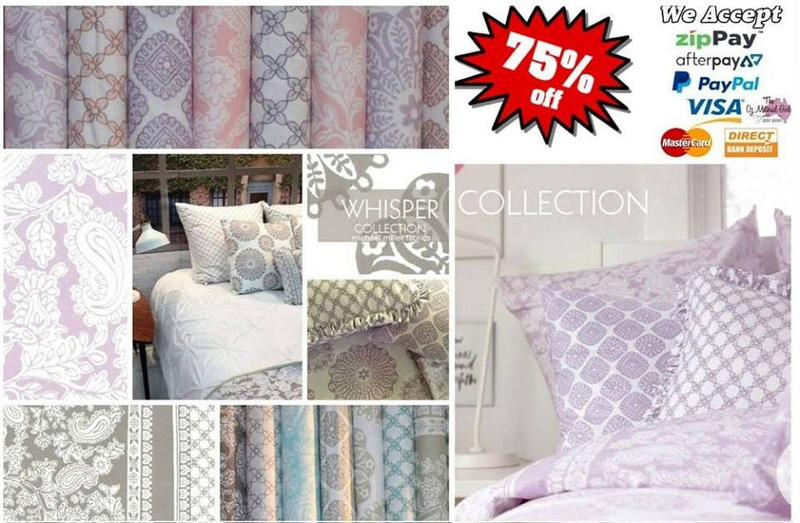 NOW 75% off - The Whisper Collection from Michael Miller Fabrics. Very limited stock left at this price ! 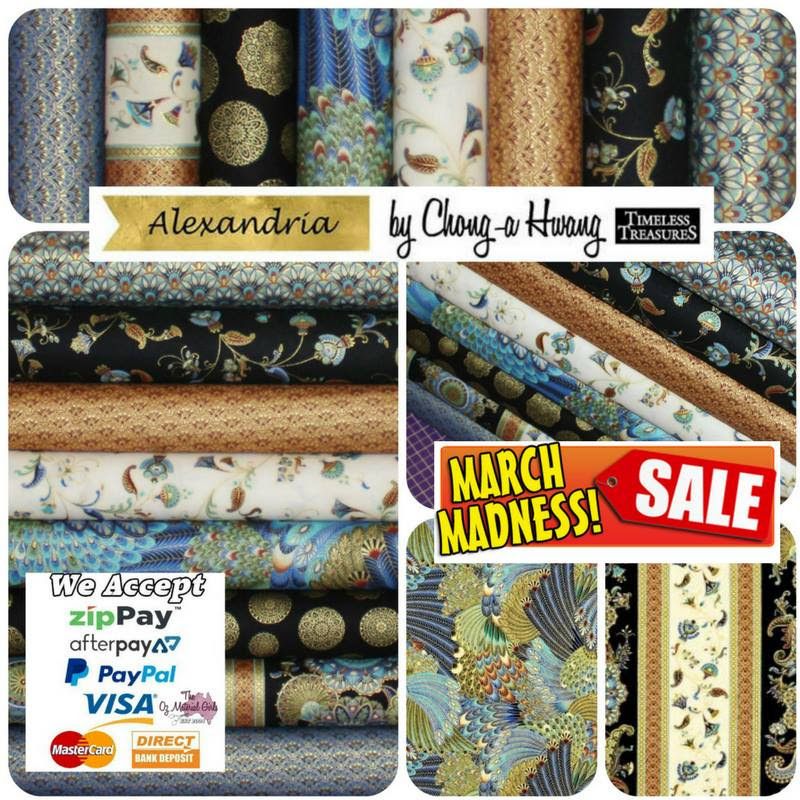 Alexandria fabric by designed by Chong-A-Hwang for Timeless Treasures. 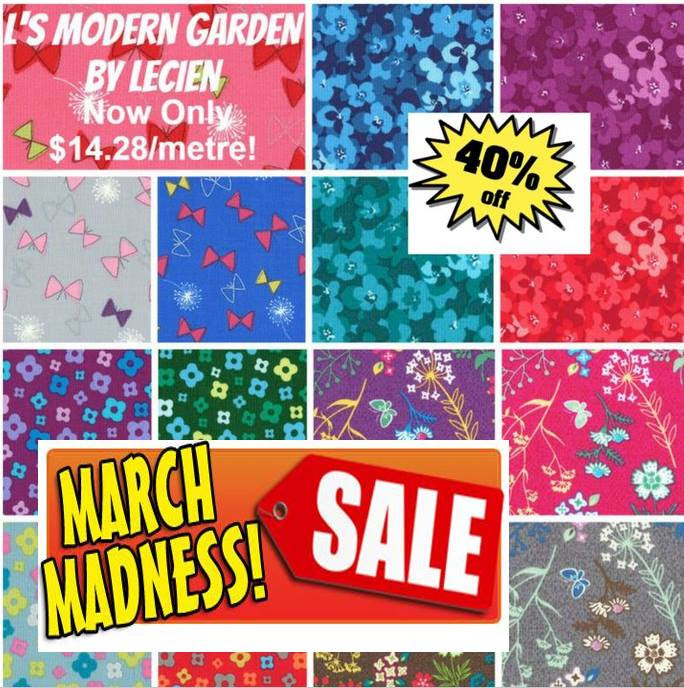 L's Modern Garden by Lecien is now 40% off - Get this great range and such a discounted price. 18 fresh and bright designs. Shop now as stock is limited. 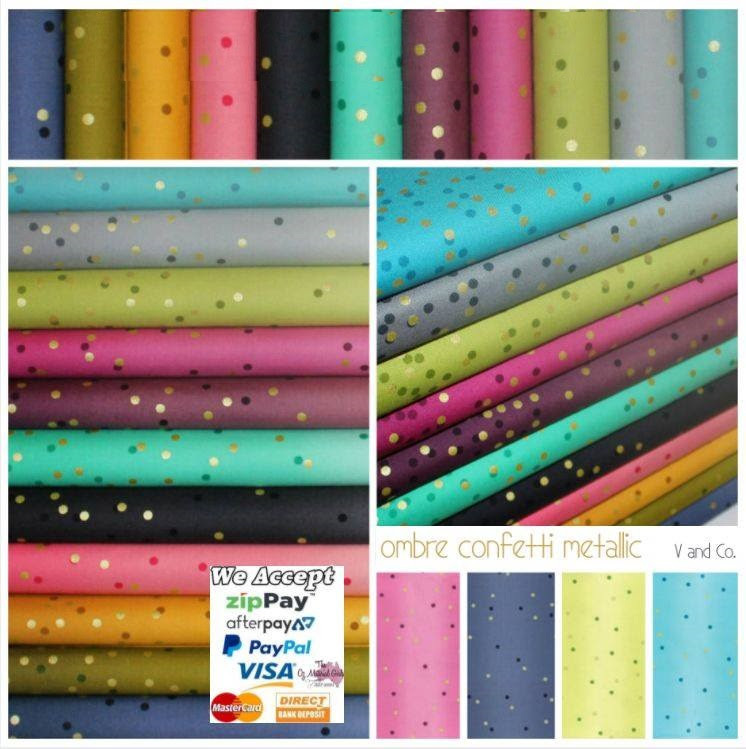 Have you see the stunning new Ombre Confetti Metallic range by V and Co. for Moda Fabrics? We have 11 of the full 20 colours currently in stock and you can now preorder the Jelly Rolls & full 20 design FQ Bundles.